Guest Blog Post – Ellen Arndt is the communications manager for VideoSurveillance.com. She’s the company’s rockstar PR voice, and is deeply interested in Pearl District residents’ on this matter. CommunityCam, a new safety initiative launched by VideoSurveillance.com, aims to create a safer Portland by providing law enforcement and residents with the locations of private and public security cameras across the city and its outlying suburbs. 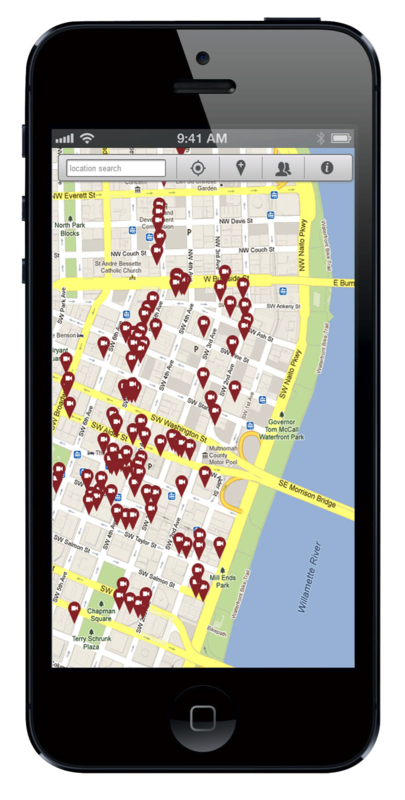 The free, publicly-accessible, crowdsourced map is a valuable resource to have at your fingertips in the event that you or someone you know becomes a victim of a street crime. By using CommunityCam, you’re able to view the locations of nearby surveillance cameras that may have captured the incident on video and report these cameras to the police. Runners, walkers, and tourists can also use the map to plan safer, monitored walking routes. 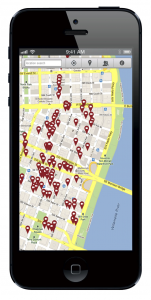 The video surveillance cameras listed on CommunityCam’s map have all been uploaded by Portland residents, who’ve seen them first-hand on the outside of businesses, schools, and on city property. For example, the Rite Aid located in the Pearl District on NW 10th has outdoor cameras that have been added to CommunityCam. If a crime were to occur near the Rite Aid store, one could inform the police that the Rite Aid store does in fact have cameras. Thus far, CommunityCam has gained traction across numerous neighborhoods and business districts in the Portland metropolitan area and beyond. Citizens are stepping up and providing their neighbors with surveillance camera locations to improve public safety and let others know that neighborhoods are taking on new measures to prevent and solve crime. Finally, I’ve provided a few photos to give you a visual sense of what CommunityCam looks like on a web browser and on your iPhone. The red balloon pins you see on the map denote the location of a security camera. Use the scroll wheel on your mouse to zoom in and out of a specific neighborhood – it’s that easy.